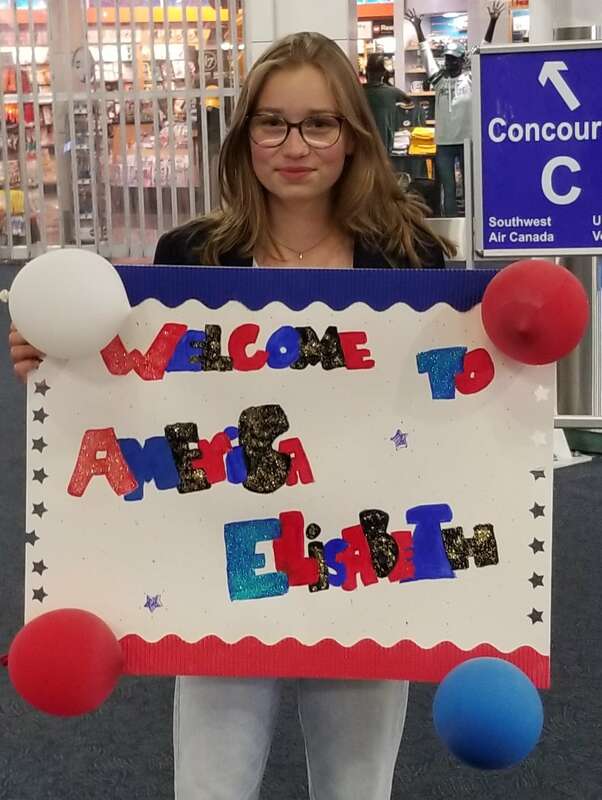 Our 2018-19 Rotary Youth Exchange student, Elisabeth Burschel from NW Germany, arrived on Sunday night and has been on the go since arriving. She enjoyed having lunch with the noon club today after her first tennis practice this morning. Elizabeth and Jan are doing some German cooking for tomorrow's international dinner, she'll be at the Chinooks game on Thursday, and at our meeting on Friday morning. Elisabeth really enjoyed unpacking her gift baskets. Special thanks to Jennifer for all of her preparation! !